PRiMiTivE Family Name Sign - with "Two Lives..." saying, first names and wedding date. CROW CORNER PRIMITIVES NOW HAS PERSONALIZED WEDDING DAY SIGNS!! 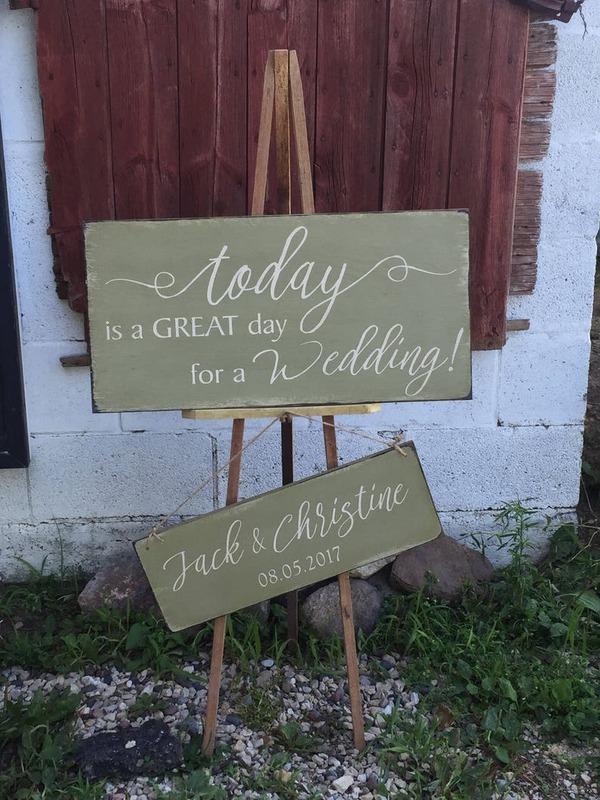 The two signs in this Wedding Day set measure roughly 12" x 24" and 8" x 18". 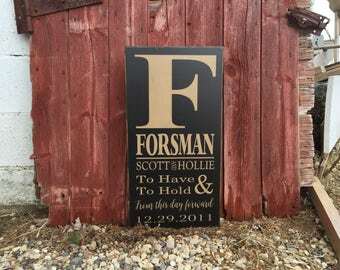 The smaller sign is personalized with the couple's first names and their wedding date! They are PERFECT addition to the décor for any wedding day! This version is pictured in Pale Green (Cricket) with Warm White letters, however many other colors are available by special request. Other popular color combinations include Black w/ Warm White letters, Warm White w/ Gray or Buttermilk letters, Light Gray w/ Warm White letters. Orders will be done in pictured colors unless specified. Each sign is stenciled on 1/2" plywood and are highly distressed and stained to achieve that worn, antiqued look. The backs are stained and saw tooth hangers or jute ties can be added for easy hanging. A coat of matte or satin finish poly is be added to complete the look. Upon making purchase, please note the names and wedding date along with finish preference (none, matte or satin) in the "message to seller" section. Since these signs are personalized, please allow 3-4 weeks for delivery.